Why is hpaPaaS a strategic imperative for both IT and business decision makers? Customer expectations have changed with technology. Currently, 58% of consumers and 77% of business buyers say that technology has significantly changed their expectations of companies . Over 80% of IT leaders say their role is entering a new era driven by customer expectation, even though IT teams still spend an average of only 46% of their time innovating for the business. Amid all of these demands, IT leaders’ interest in low-code development has skyrocketed over the last two years, from 52% to 76%. By 2019, it's projected that 81% of IT leaders will be extremely or very interested in low-code development. With a high-productivity application Platform-as-a-Service (hpaPaaS), IT can work much more closely with the business to rapidly deliver apps and digitize processes. Using model-driven development, business users and less technical "citizen developers" can create the major part of the application, calling for IT’s help only for governance and custom code. The result is faster and easier app dev, broader business empowerment, and accelerated innovation. A strong majority of IT leaders believe that citizen development will transform their development cycle times, free IT resources for more complex tasks, and increase innovation across the organization. That’s why we believe the Salesforce Lightning Platform, with 19 years of innovation in its aPaaS capabilities, is a leader in application development. With the Lightning Platform, companies are transforming IT departments into centers of innovation. Home to more than 6.5 million custom apps and over 4 million developers, Lightning is empowering Trailblazers around the world to build apps via clicks or code with the industry’s leading spectrum of PaaS tools and services. Thousands of our customers have unlocked the power of our platform as the fastest path from idea to impact. 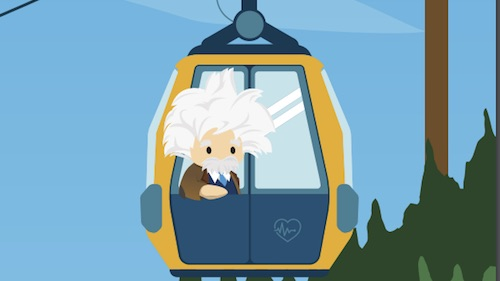 From healthcare companies building patient care apps to supply chain and contracts departments automating their processes on our aPaaS, customers have embraced Salesforce to enable IT to blaze a completely new trail in application development. We deliver breadth of innovation across domains, from our component-based low code builders in Lightning to our high control PaaS tools on Heroku, artificial intelligence baked into the platform with Einstein, business intelligence with Einstein Analytics, modern professional development capabilities with Salesforce DX, and a pivot into next generation event-driven design with our investments in Salesforce IoT and Platform Events. Strong market presence, revenue growth, name recognition, and integration with our market-leading Sales, Service, Marketing, and Commerce services. Our strong third-party ecosystem through AppExchange, with 5.6 million downloads and several thousand partners delivering finished applications, components, and strategic design and deployment services to support Salesforce customers. Our investment in Trailhead, Salesforce's gamified online learning platform that takes users on free, guided learning paths to gain skills needed to thrive in the workforce of the future. Since launching in 2014, Trailblazers have earned more than 6.5 million badges, which directly relate to in-demand job skills. 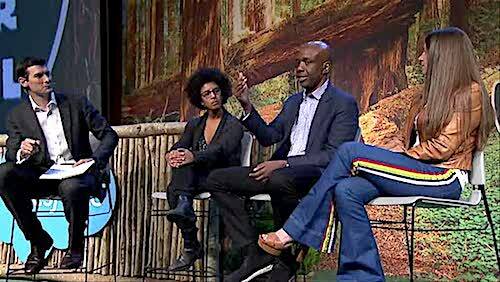 Trailhead is accessible to everyone, empowering individuals to reinvent their careers and lead their companies through innovation. 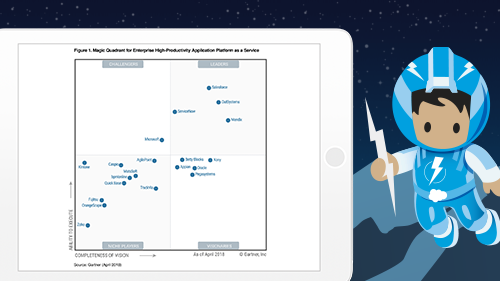 Gartner Magic Quadrant for Enterprise High-Productivity Application Platform as a Service, Paul Vincent, Van L. Baker, Yefim V. Natis, Kimihiko Iijima, Mark Driver, Rob Dunie, Jason Wong, Aashish Gupta, 26 April 2018. The New Frontier of Software Development,” Salesforce Research, March 2018.